The Chinese government has moved to ban domestic tourism agencies from operating tours to Pyongyang, travel industry sources told NK News on Tuesday and Wednesday. The sources, who spoke on condition of anonymity, reportedly had the news confirmed to them by partners in China. Beijing’s decision, which was also reported on by Reuters, appears to show China increasing pressure on North Korea. While three tourism sources confirmed the ban to NK News on Tuesday and Wednesday, there are varying accounts of the exact scope of the measures from their Chinese counterparts. A second source also told NK News that contacts in the Dandong Tourism Bureau and Dandong tour operators had confirmed the news of a government notification issued on Tuesday, but suggested the ban was more sweeping. “From my understanding it affects all Chinese tourists and not just companies based in Dandong,” the source said, adding that this was an assessment shared by multiple China-based tour operators. 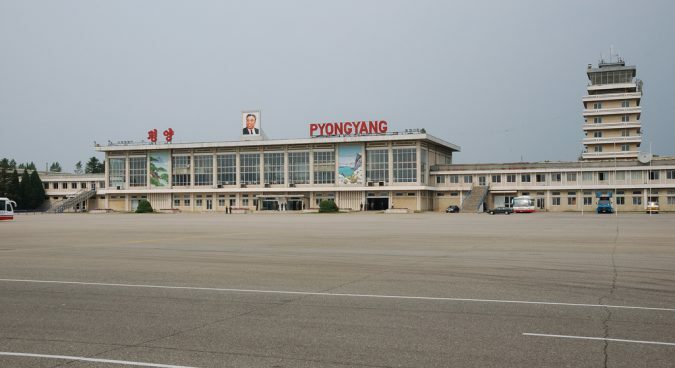 While the news has come mainly from Dandong, a ban on tour operators in the city taking tourists into Pyongyang would represent a significant portion of Chinese tourists visiting the capital. “Chinese tour companies represent basically all Chinese tours entering North Korea. There’s a few in Shenyang, Dalian but the majority being in Dandong,” the source said. It is, however, currently the “low season” for tourism and so the potential impacts of the ban on the North Korea tourism industry may be limited, in the short term at least. Trips to the border town of Sinuiju also appear to continue to be allowed. The Reuters report on the subject quoted a Chinese tour operator from Dandong regarding the government notification. “It was very unexpected, we had no idea this was going to happen until we received the notification today,” the source, also speaking to Reuters on the condition of anonymity, said, with the article also citing a Hong Kong company stating that it had been – as of Tuesday – not notified about the ban from authorities. The notification came a day prior to U.S. President Donald Trump’s arrival in Beijing as part of an extended tour of Asia. The Trump administration has urged China to apply more pressure on Pyongyang to curb its ongoing nuclear and ballistic missile programs. While only a few thousand western tourists visit North Korea every year, Chinese visitors have long been known to represent the bulk of foreign travelers to the DPRK. Representing some 80% of visitors on a yearly basis, South Korea estimated last year that some 100,000 people visited North Korea from the PRC in 2015. New travel restrictions, however, would not be unprecedented. Beijing also sought to restrict Chinese tourists traveling to South Korea earlier in the year by curbing the ability of domestic companies to offer group tours to the country – a response to the deployment of the U.S.-made Terminal High Altitude Area Defense (THAAD) missile defense system in the South.